The first, most important thing to know about the blue bamboos is that the blueness is a product of bloom powder on the new canes. As canes mature the powder disappears leaving the underlying green of the bamboo. Because there are new shoots twice a year, on many of these plants, you will have ‘blue’ canes year round. The amount of blue color is most apparent on the first three selections. However, the several species that follow also have nice blue color and might be a better choice for some particular site and application. Over the years we have managed to import 3 different true black bamboos from Southeast Asia that are appropriate for the tropical and sub tropical climates of Hawaii. 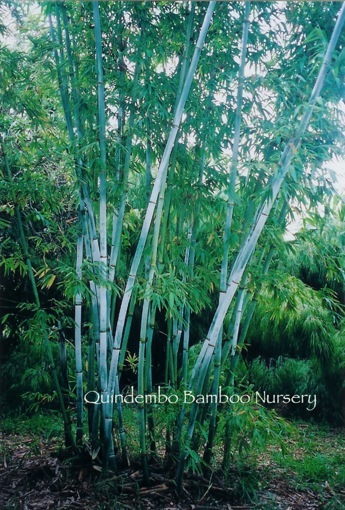 They are all clumping, non-invasive bamboos. These are all magnificent plants and they are all substantially different from one another. 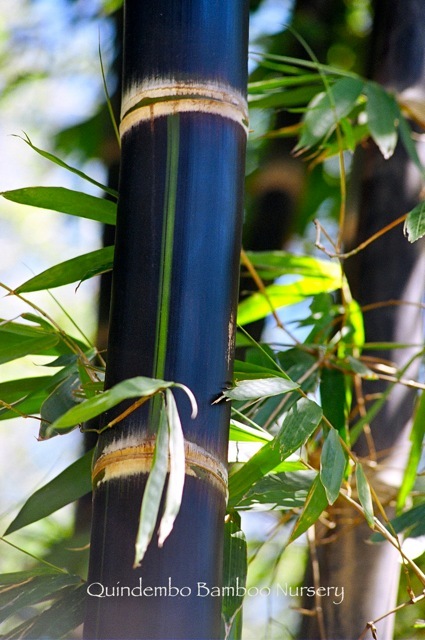 Many colored bamboos do not show their color when the plant is young, so depending on the maturity of the container that you are planting, you might not see much color for a year or two.